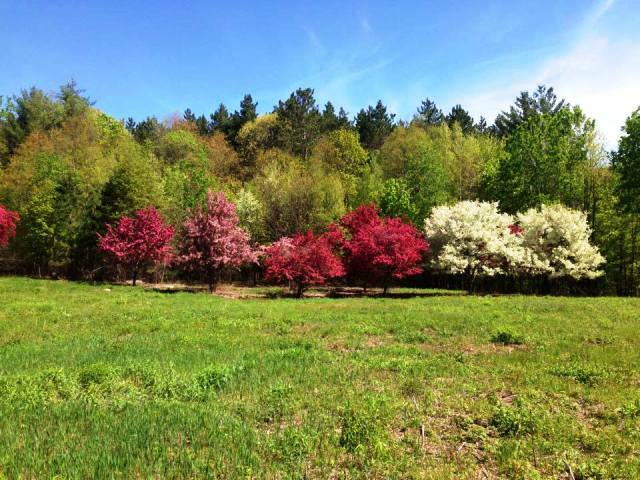 This field owned by the U.S. Army Corps of Engineers in Surry, NH was so badly overgrown with invasive brush that the flowering crab apples at the far end were not visible. 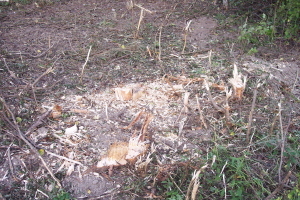 The brush was uprooted and shredded in the field and from tight around the trees in the summer of 2016. The photo was taken in the spring of 2017. If herbicides had been used, they would have damaged the flowering crab apples and have left a tangle of unsightly dead brush that would have impeded subsequent maintenance mowing. 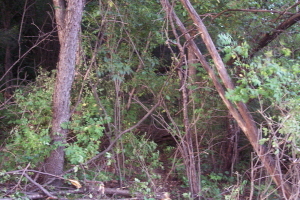 Herbicides used for brush and weed control are poisons that have many known and unknown risks. Even Roundup (Glyphosate), which the chemical industry considers one of the safest herbicides, is now suspected of harming bees and aquatic life as well as damaging critical soil microorganisms. 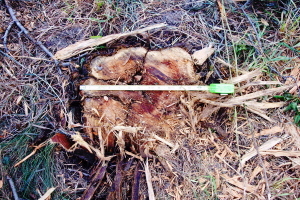 greatly reduces resprouting of the invasives. 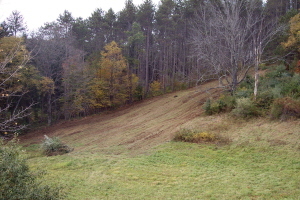 Two views of a hillside where the woody invasives were uprooted and herbaceous vegetation was mowed on the left half of the slope. 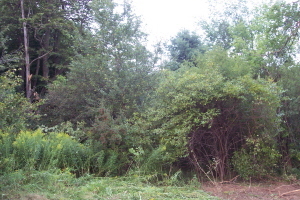 Prior to uprooting and mowing, the vegetation was similar to that on the right. 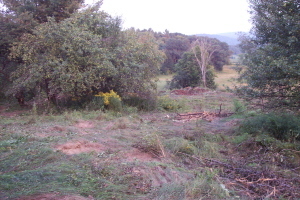 Uprooted woody invasives were pushed to the bottom of the hill with the front rake. 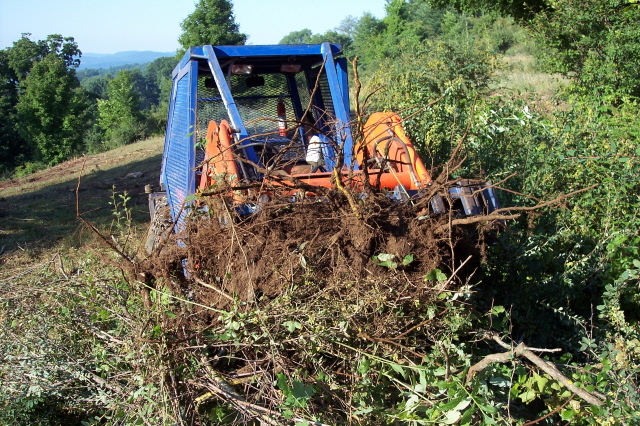 The remaining vegetation was simultaneously mowed with the rear-mounted shredder/mulcher/mower. At the same time the machine filled and smoothed in the holes left by the uprooting. 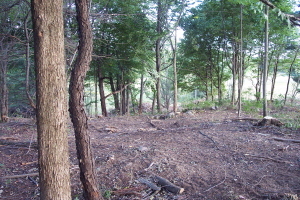 Desirable vegetation could be seeded in smooth bare earth where the woody invasives were uprooted. 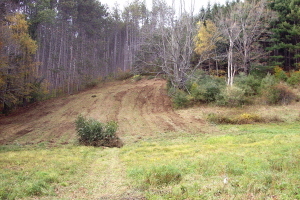 The uprooted woody invasives were windrowed at the bottom of the slope then the windrow was pushed from each end into a compacted brush pile for efficient burning.